Jo Gelder has a degree in Commerce and is a qualified CPA (Certified Practising Accountant). Jo has twelve years of local and international finance experience within the areas of business reporting, financial analysis and modelling, and project management. Jo and her husband worked in London for a number of years, before returning to Sydney to pursue their careers and to start a family. After having her first child, Jo became increasingly passionate about pursuing her dream of creating books for young children. 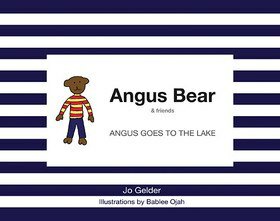 Angus Bear and his animal friends were created as she played with her young son. Jo currently lives in country NSW with her husband and two sons.